But, addressing reporters Wednesday during an Associated Press pre-legislative session gathering, House Speaker José Oliva and Senate President Bill Galvano raised doubts about whether the governor will get what he wants, at least in terms of legislation. DeSantis gave lawmakers until March 15 to act, just 10 days after the 2019 legislative session begins. The short timeline already injects uncertainty into the issue. But Oliva, a Miami Lakes Republican whose fortune is built on a cigar company, expressed concern that allowing patients to smoke the marijuana treatment amounts to a de facto authorization of marijuana for recreational use. The constitutional amendment, approved by more than 71 percent of voters, legalized medical marijuana for patients with a broad swath of debilitating conditions. “The House’s position has generally been, and I believe still continues to be, is recreational marijuana is not something anyone voted for,” Oliva told reporters. The House is concerned about issues such as dosing, the use of medical marijuana by children and the fact that marijuana remains illegal under federal law, Oliva said. DeSantis is among the many critics of the smoking ban who believe voters thought the amendment would allow smoking. But Oliva said smoking wasn’t on the ballot. Lawmakers “have the responsibility” to Floridians and doctors regarding dosage, Oliva said. “Is one to believe that an 8-year-old child should be smoking marijuana and inhaling smoke into their lungs? I’ve been in the smoke business my entire life, and I’ve never heard anyone say it’s good for you,” he said. The House “would like to have something on the governor’s desk” by the March 15 deadline, Oliva said. “The devil in the details is always that there are two (legislative) chambers, and people have to come to an understanding of what the definition of what you’re trying to accomplish really is,” he said. The Senate Health Policy Committee on Monday is taking up a bill (SB 182) that would strip the smoking ban out of the state’s medical marijuana laws. But Galvano, R-Bradenton, said the final version of legislation may not satisfy DeSantis. “We will get something to the governor by March 15. The question is will it be where he wants us to be,” the Senate president said. It’s too early to predict whether lawmakers will fail to deliver on the governor’s objective, according to Oliva. “I just think that we’re having the conversation at the beginning of the process,” he said. Oliva indicated lawmakers might consider a measure that bans children from smoking the marijuana treatment. “That’s what we’re currently looking at now. Do we want children to smoke? Do we want stress to be one of the reasons someone can be prescribed this medicine? And are we at all concerned about dosage? There’s no other medicine that a doctor gives out that they don’t recommend the dosage and how it’s taken,” he said. Under the current system, doctors are able to enter orders for marijuana for up to 210 days. Each order requires doctors to specify the route of administration, the amount per dose and the number of doses per day. Dispensaries cannot sell patients more than the maximum amount of marijuana ordered by physicians. 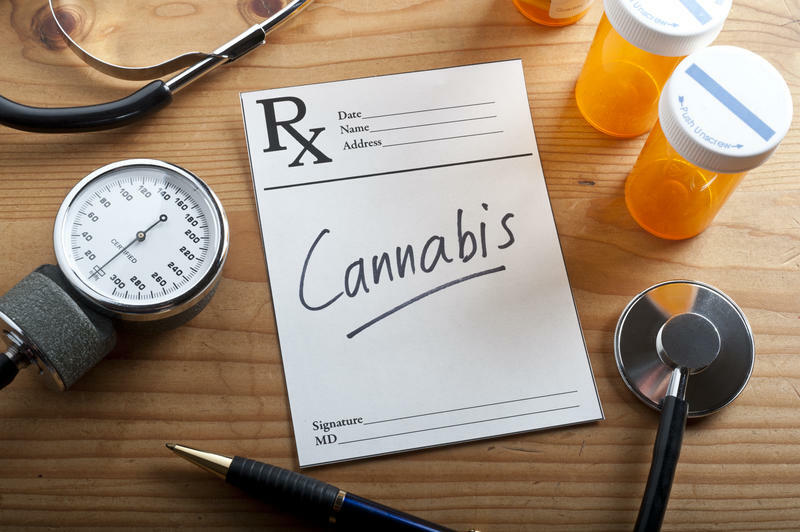 Despite DeSantis’ support for allowing patients to smoke medical marijuana, Oliva appeared focused on the issue of whether it would effectively allow recreational use. “Is medicine a façade and a masquerade for recreational marijuana? If it is, that won’t be very supported by the House. If we really want to look at marijuana, and what ailments it can truly relieve and people it can actually benefit, then that’s what we’re looking at,” Oliva said. With Gov. Ron DeSantis backing the issue, Sen. Jeff Brandes, R-St. Petersburg, filed a bill Monday that would eliminate a ban on smoking medical marijuana. Republican Florida Gov. Ron DeSantis criticized the Legislature's implementation of a medical marijuana law and said Thursday that if they don't fix it quickly, he'll take matters into his own hands.